Lets Chat: SnapChat vs Instagram Stories For Your Business. Who Wins? My, oh my, has social media evolved from the ancient days of MySpace up until one of today’s most popular photo-video sharing social media platforms known as Instagram and SnapChat. Instagram, which is more known for it’s perfectly polished photos is finally ready to offer the best of both worlds. 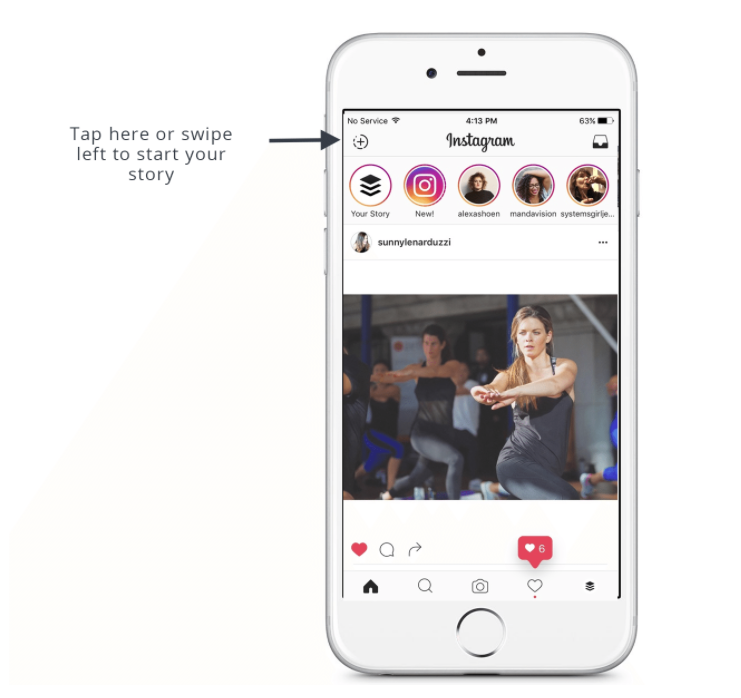 In August, the popular app unveiled “Instagram Stories.” By now, most of us who use the app regularly are well aware of the 24 hour temporary video or photo feature that appears as a circle at the top of your feed. Hmmm, now hold on a beat! This sounds awfully familiar! Another social media platform started this concept. You know, the bright yellow app with a white faceless ghost! If I was mistaken, isn’t this just a clone of SnapChat? Well, my friend’s yes indeed it is! But, call it what you want, I like to call it smart. 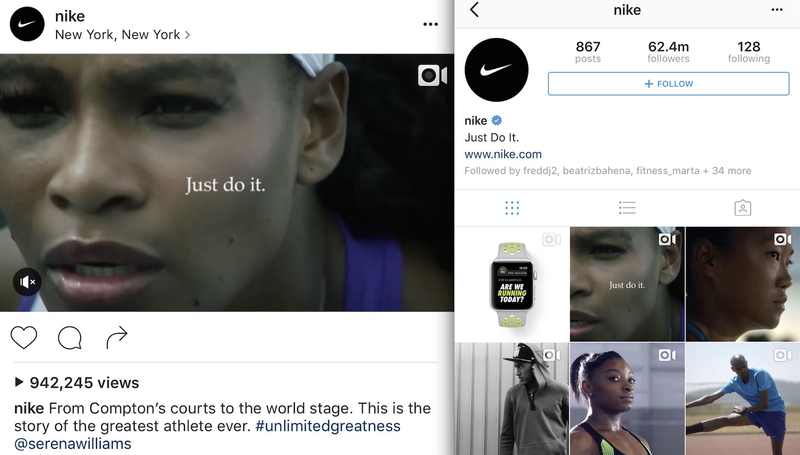 Household names such as Nike, Gatorade, Kraft, Vans, NBA, ect., are just a few of the many that have taken notice of the popularity surrounding SnapChat and now Instagram Stories. So, you might assume nah! Advertising on SnapChat is only made for big baller companies! Not so fast soldier, smaller businesses such as cosmetic line Too Faced and Birchbox have jumped on this sailing ship as well. But I’ll give you this, the bigger question is who’s more worthwhile when it comes to your business? Folks, we’re about to find out. Both are valuable in their own right, but undoubtedly both come with questions. When I think about SnapChat I wonder, can a small business really make it’s presence known? And can Instagram Stories really find the success that SnapChat has received? Let’s compare the two. 24 ready-to-use Facebook Covers here! 1.) Snap Ads – begins with an up to 10 second vertical, full screen video and appears in the context of other Snaps. The swipe rate for Snap Ads is 5X higher than the average click through rate on comparable platforms. 2.) 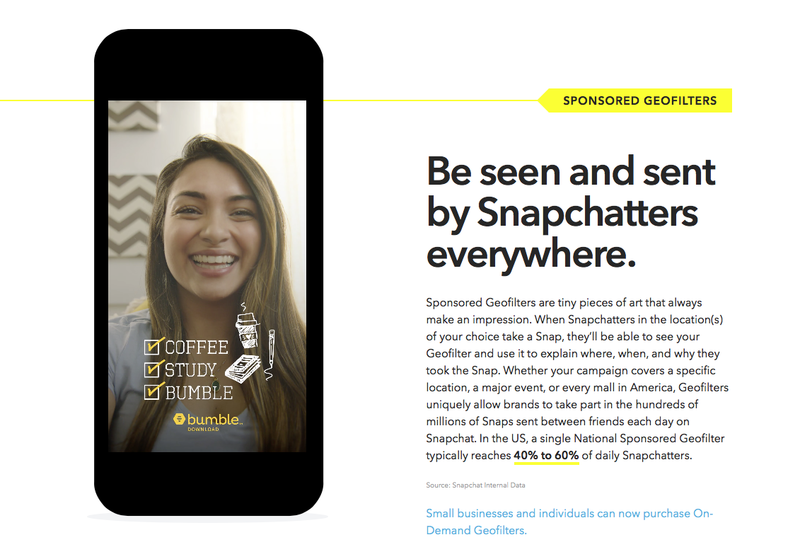 Sponsored Geofilters – Where ever SnapChat users are snapping away, they’ll be able to use different location features along with a Geofilter shown below. 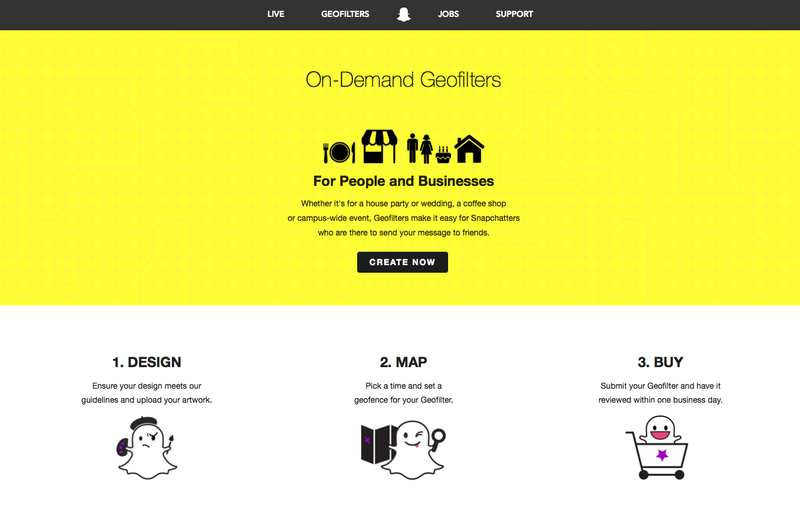 Small businesses can now purchase On-Demand Geofilters. 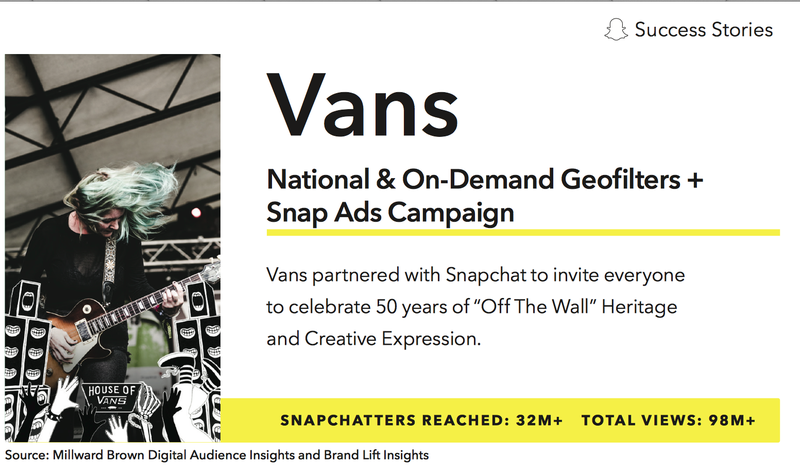 A single National Sponsored Geofilter can reach 40 to 60 percent of daily users. 3.) Sponsored Lenses – users will be able to press and hold on their face and watch themselves turn into something else. On average, SnapChatters play with a Sponsered Lens for 20 seconds. Unlike SnapChat, Instagram reaches a broader demographic with 55% of users are between the ages of 18 - 29 and 28% make up of 30 - 49 years-old. 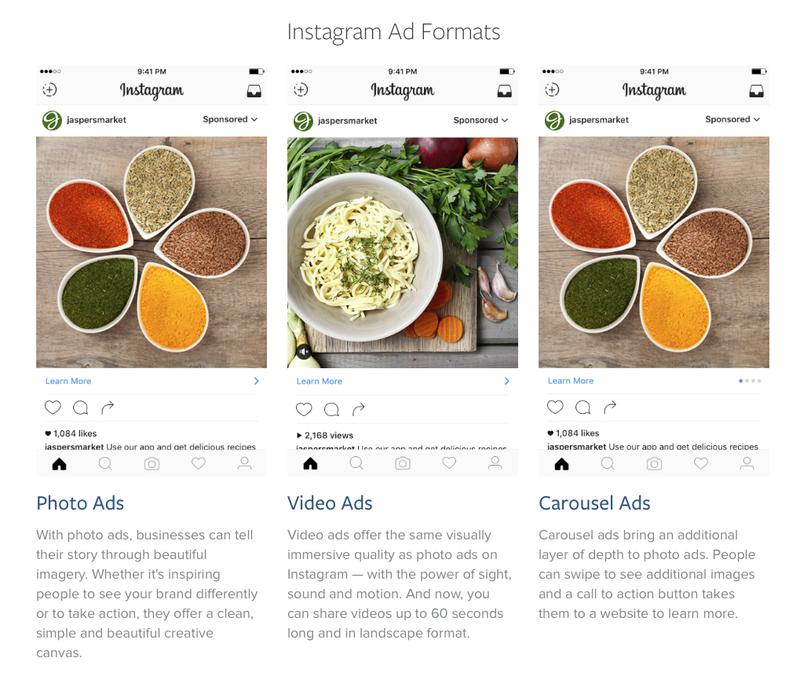 Although, Instagram itself has several advertising options shown below, “Instagram Stories” has yet to offer any ads or commercials. If I owned a crystal ball it would definitely be telling me they are wasting no time orchestrating an Instagram Stories advertising plan as we speak! But remember, like SnapChat, Instagram Stories is a commercial within itself so, use it to your advantage. 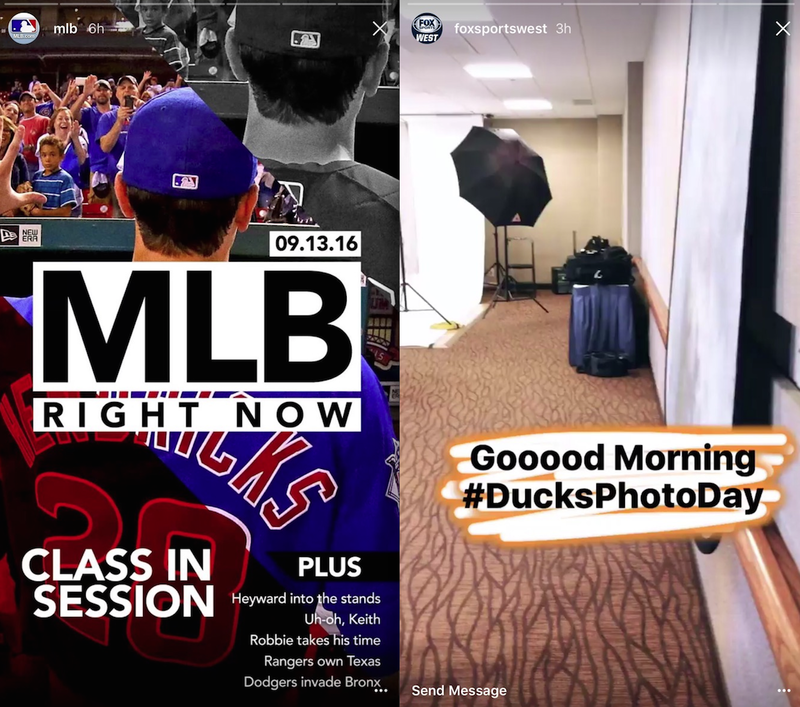 Although the app does not offer the type of ads its rival offers, organizations other than MLB and FOX, such as Nike are already taking notice of Instagram Stories. The apparel giant wasn’t afraid to “Just Do It” and give Instagram Stories a shot. 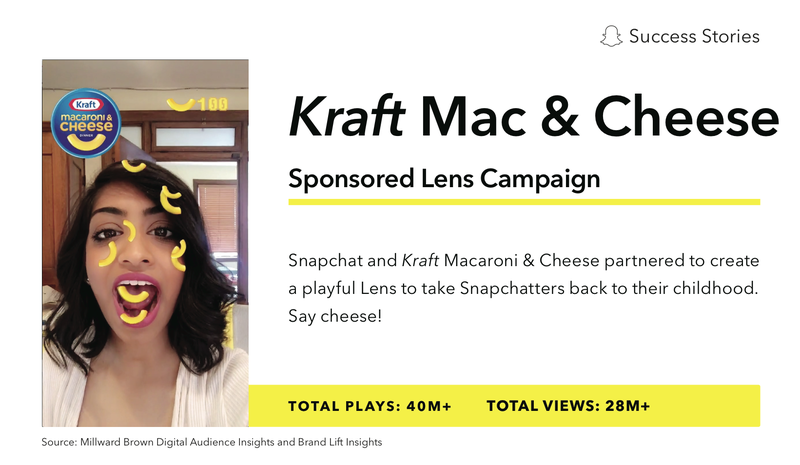 Sharing their experience with Ad Age dot com, they received 800,000 views opposed to the 66,000 views on SnapChat. With 500 million people using Instagram every month and 300 million daily users it's no wonder why they are receiving such a large turn out. 1.) Sponsored Photo Ads - The natural supplement provider iHerb, used this option to retarget cart abandoners resulting in a 200X return on ad spend. 2.) 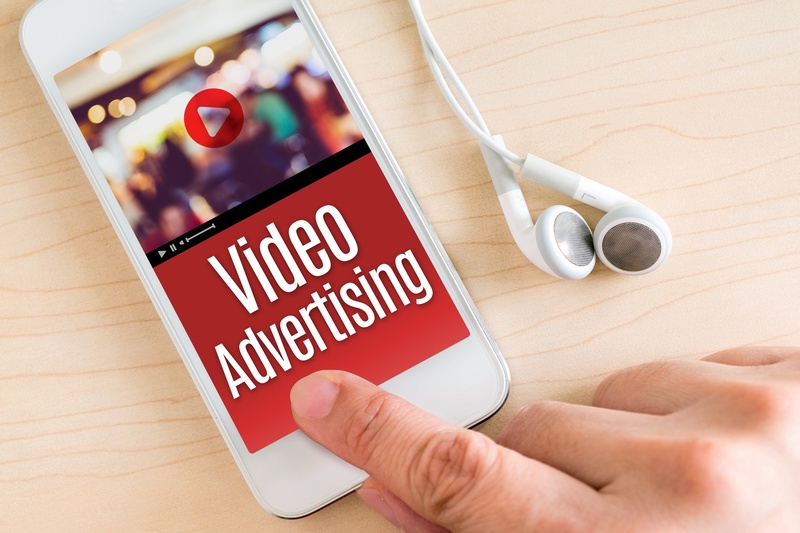 Sponsored Video Ads - Companies such as LG engaged with over 30 million people on Instagram using sponsored video ads. 3.) 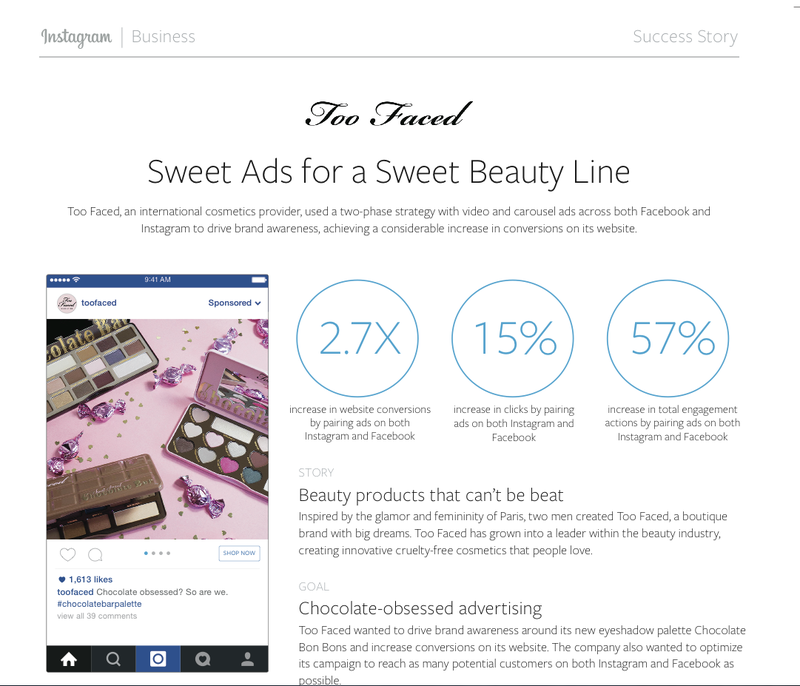 Carousel Ads - Have you ever noticed the sponsored ads on your feed with the ability to swipe photos? Well, this is it! Carousel ads drive 30 to 50% lower cost per conversion and 20 to 30% lower cost-per-click than a single image. 1.) Go to your Instagram feed. There are two ways to work this. For one, click on the plus sign at the very top left or swipe your screen to your right to begin a new story (yes, similar to SnapChat). 2.) Get creative!! Take a photo or video by clicking/holding down the circular button of the screen. 3.) Next, one word: engaging!! Sketch as you please! Add emoji's! Your post should be fun, yet appealing. (Tip: Sometimes I like to have music playing in the background that compliments my post). 4.) 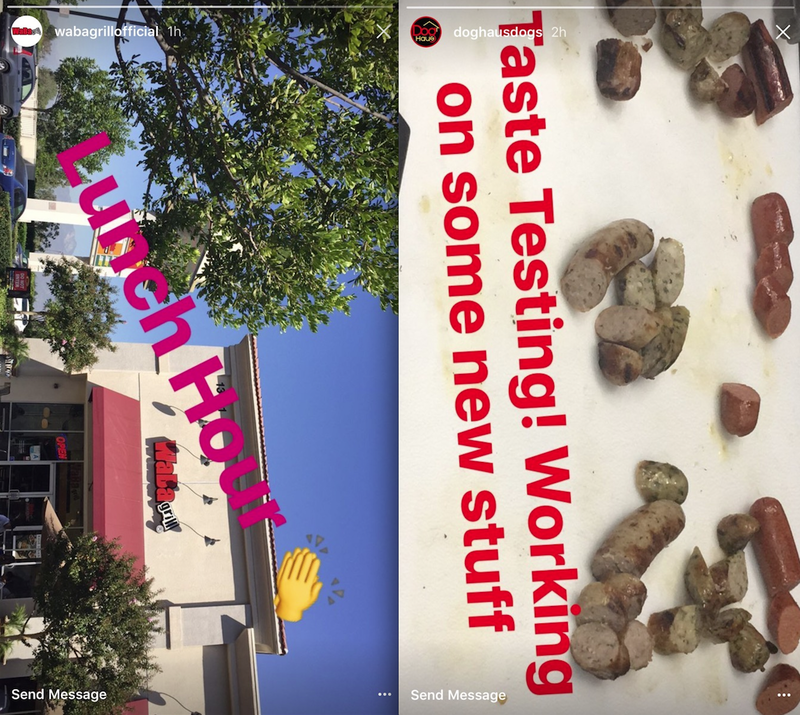 Instagram Stories has yet to offer Geo-filters, but work with what you got! When you're complete with edits, adding filters and happy with your story, go ahead and send by clicking the check marked button as shown on the second photo at the top. 5.) And walla! We have an Instagram Story! 1.) Go behind the scenes - People love to get a peak behind the scenes of companies they care about. According to businesses already on the platform, both platforms can be a great place to tease followers with a sneak peek into your operation. 2.) Share Promo Codes - Earn new customers and new followers by promoting your products or store locations by giving away coupon codes to users sharing photos or videos of your product. 3.) Demo Your Product - The idea of SnapChat for your business is to offer value for your consumers. Do you have a product that might need a demonstration? This is your chance to show users what it offers and how to use it. 4.) Feature Your Followers - Social Media Examiner found that GrubHub, known as the food ordering service, launched its first Snapchat campaign in 2013 and featured their own weekly content, stories gathered from user-generated content, giveaways, and promotions. The results included a 20% increase in followers after the launch giveaway. So, who wins? Well, lets recap. SnapChat and instagram have proved to have major potential whether you're a small business or a bigger company. Both are very successful social media platforms. Not every business needs to be on either platforms, but if the shoe fits, then why not? Depending on what your target audience is you get to decide which network works best for your business. 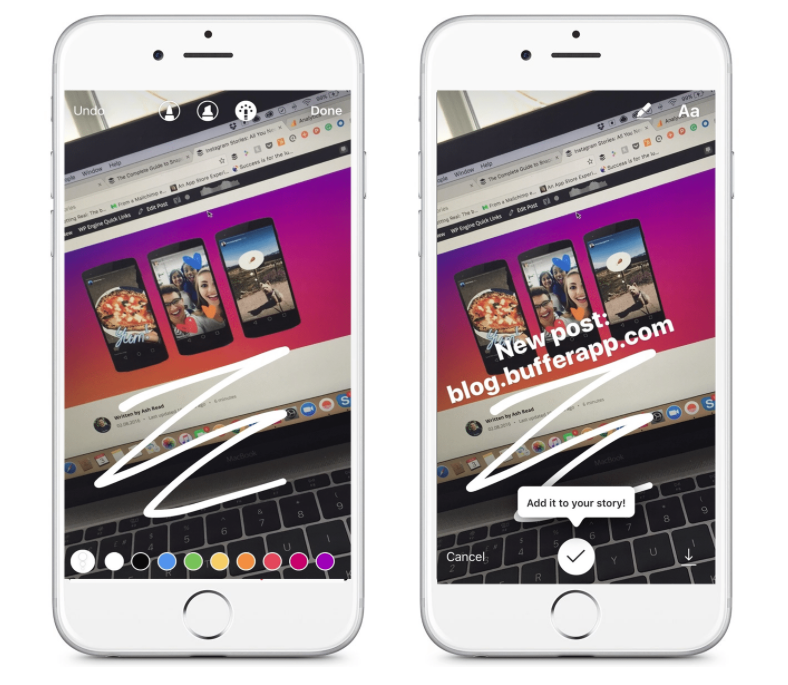 Instagram Stories has yet to catch up with SnapChat such as certain filters and advertising options, but not too far behind! Reviewing the positive engagement case studies I think it's well worth a shot! So, gather your thoughts, bank accounts and give it a go! 24 ready-to-use FREE Facebook Covers here!